is the original founder and director of the Nekomi Institute of Technology Motor Club. 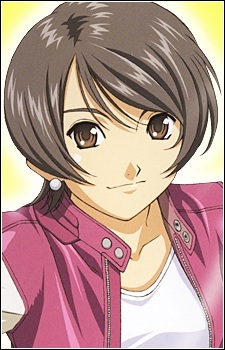 She is a resolute person and an incredibly skilled mechanic and motorcycle driver, even more so than Keiichi. She starts up her own motorcycle shop called Whirlwind and hires Keiichi and Belldandy to work for her. Normally a non-nonsense personality, she has a soft spot for cute objects, cats and children.